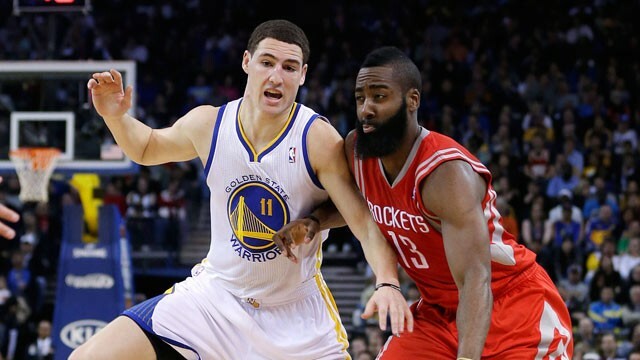 The Golden State Warriors take on the Houston Rockets tonight at Oracle Arena. These two teams played each other just a week ago in Houston. In this game, the Warriors were blown out and ultimately lost the game 105-83. Like many other games this season, they got off to a slow start and couldn’t recover. 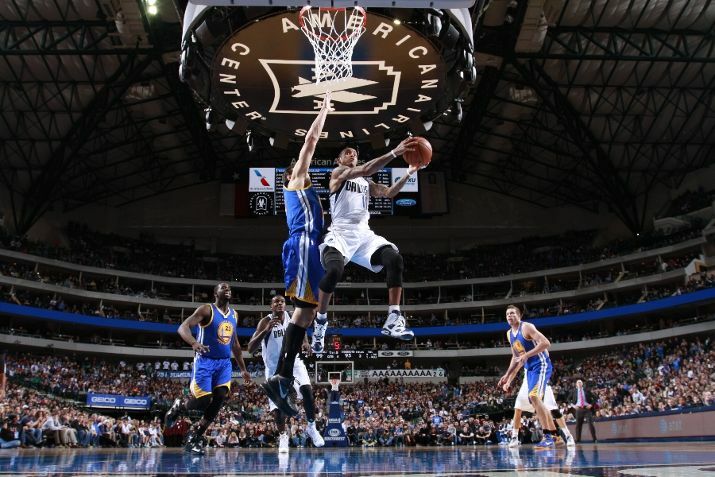 On Wednesday, the Warriors had the same problem against the Dallas Mavericks. They struggled with their offense early on in the game, and they got down by as many as 18 points. However, the Warriors showed their resiliency and mounted another incredible comeback. Draymond Green contributed in so many ways, and Stephen Curry caught fire at the right time. The Warriors won the game off of Curry’s first game-winner in the NBA. When the Warriors face off against the Rockets today, they need to play quality basketball for all 48 minutes. They’ve already proven that they can come back from a deficit, no matter how big it is. However, they can make it a lot easier on themselves if they play with energy and execute their game plan from the start of the game. Andre Iguodala might wear the number nine on the back of his Golden State Warriors jersey, but he’s used to being number two. Throughout his basketball career, Iguodala has always been “the sidekick” to a bigger, brighter star. When he attended Lanphier High School in Springfield, Illinois, Iguodala was “in the shadow” of Richard McBride. When he attended the University of Arizona, Iguodala deferred to Hassan Adams and Luke Walton. Lastly, when the Philadelphia 76ers selected Iguodala with the ninth pick in the 2004 NBA Draft, he immediately became the sidekick to the 76ers’ face of the franchise at the time, Allen Iverson. For many up-and-coming basketball players, being a sidekick wouldn’t necessarily be the dream job. However, for a player like Iguodala, the role suits him. He’s always been a selfless player who makes the people around him better. He does this by contributing to a team in many different ways. He can pass, he can rebound, he can score when needed, and he can defend. He doesn’t need to be the star of a team. That’s always been his style, and that’s not going to change, no matter who he plays for or with. 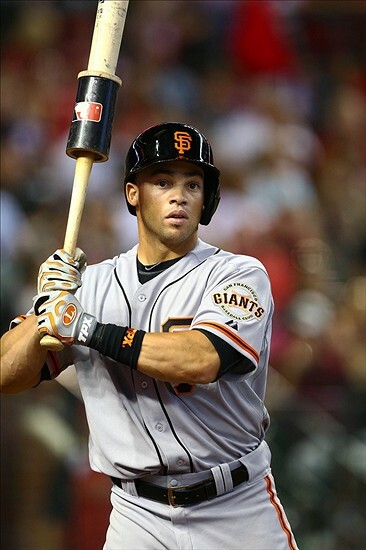 Will the San Francisco Giants Use Another Left Field Platoon in 2014? The San Francisco Giants headed into the offseason with a couple important areas to address. First of all, they had to upgrade their starting rotation. To address this, they signed Tim Hudson, re-signed Tim Lincecum, and re-signed Ryan Vogelsong. Next on the list is to address the left field situation. The Giants are stuck between the proverbial rock and a hard place in terms of finding a left fielder. Giants management is wary about spending the big bucks to get a big-name free agent like Shin-Soo Choo. They’re also wary about giving up some of their top prospects, such as Kyle Crick, Edwin Escobar and Chris Stratton, in order to trade for a serviceable everyday left fielder. In addition to these problems, there aren’t many outfielders currently on the market that could be signed at a lower price level. The Giants have been connected to some of them, such as Brett Gardner and Jeff Baker, but those are purely just speculative rumors. It seems as if the Giants will ultimately go with another left field platoon this season. Giants fans might not be happy about it, but the Giants seem content about going into the 2014 season with a platoon of Gregor Blanco and Juan Perez. Giants fans know what Blanco can bring to the Giants. His strongest asset is his superior defense. He’s fast so he can cover a lot of ground, he can play all three outfield positions and he has a strong arm. Offensively, he failed to find that consistency that the Giants needed from him when Angel Pagan went down with his hamstring injury. There are actually a lot of similarities between how Blanco and Perez play. Like Blanco, Perez is very talented defensively. He can also play all three outfield spots, he also has great range and he also has a strong, accurate arm. Offensively, Perez would provide the right-handed bat in the platoon. When he was first called up by the Giants last season, he struggled to find consistency. However, when he was called up again in September, he started to feel more comfortable at the plate. In September, he hit .277 with one home run and five RBI. Overall, he hit .333 with runners in scoring position and he hit .333 against right-handed pitchers. 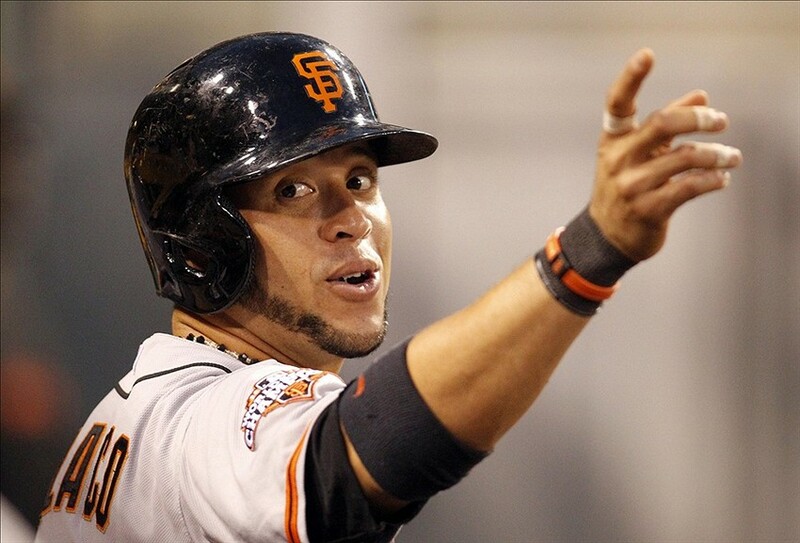 If the Giants do decide to go with a Blanco-Perez platoon in 2014, it will certainly improve their defense. Torres was the weak link, defensively, in last season’s left field platoon with Blanco, and Perez is certainly a defensive upgrade from Torres. Offensively, it’s unclear if Perez could consistently contribute at the plate over the course of a full season. Also, since he’d be splitting starts with Blanco, he’d have to adjust to not playing everyday and not getting consistent at-bats. This would be a tough adjustment for a young hitter, so, even though Perez would be an upgrade defensively, there’s still a lot of uncertainty about his ability to hit consistently. A Blanco-Perez platoon might not be ideal, but Giants management seems confident that Perez can continue his hot streak from 2013 and carry some of that momentum into the 2014 season, if he does in fact form a platoon with Blanco. On March 13, 2012, the Golden State Warriors forever changed their franchise. They traded Monta Ellis, Ekpe Udoh, and Kwame Brown to the Milwaukee Bucks for Andrew Bogut and Stephen Jackson. This monumental trade made a statement to the rest of the NBA that the Warriors were committed to winning and committed to Stephen Curry being the face of the franchise. At the time, many Warriors fans were shocked and angry that Ellis, a fan favorite, was traded. Even Ellis seemed shocked when the trade was first announced. Now, not just Warriors fans, but also Ellis, can see why this trade was so important for the evolution of this team and why it was ultimately the right decision. All San Francisco Giants fans remember the speech. 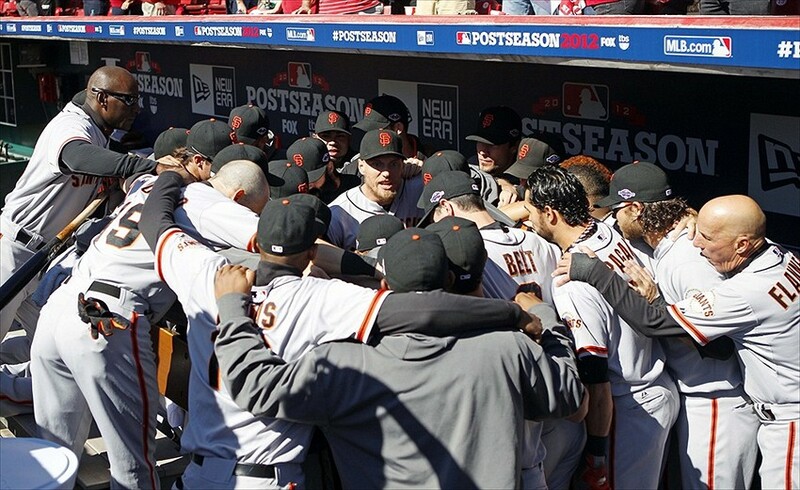 Hunter Pence gathered his teammates around him in the dugout before Game 3 of the Giants’ 2012 NLDS series against the Cincinnati Reds. The Giants were down 0-2 to the Reds and were facing the first of many potential elimination games to come. He told his teammates that he wanted one more day with them. He told them to never give up, to play for each other, to win each moment. He spoke with intensity and fierce passion. Reverend Pence motivated his team and led them to victory in Game 3 and eventually to their second World Series title in three seasons. This speech was a defining moment for the Giants in 2012. He motivated his teammates to play with that “never say die” attitude that made them even closer as a team and made them even more powerful. 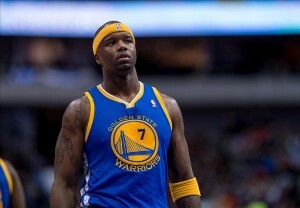 Jermaine O’Neal has shown this same passion and intensity on this Golden State Warriors team. Every time he steps on the court, he plays tough, he fights, and he pumps up his teammates. The Warriors certainly needed his passion in Tuesday’s game. 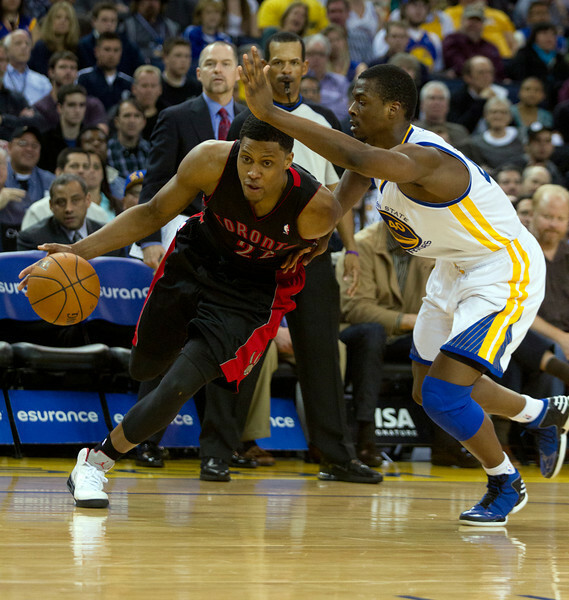 On Tuesday, the Warriors took on the Toronto Raptors and got seriously out-played in the first half of the game. They were down by 17 at the half and were down by as many as 27 points during the third quarter. At halftime, O’Neal delivered a Pence-esque speech to get his teammates fired up. O’Neal explained to the team that if they wanted to show that they’re an elite team, they had to play like one. O’Neal told his teammates what they had to do to prove that they are a championship-calibur team. O’Neal’s speech might end up having the same effect on the Warriors that Pence’s speech had on the Giants. The Warriors could look back on O’Neal’s speech as the defining moment for when they went from hoping to be a great team to understanding the responsibility it takes to be a great team. It seems like O’Neal delivered the speech with the same passion that Pence had when he gave his speech. O’Neal stood up and confronted his teammates when it mattered. He reminded them what kind of team they are. The Warriors are fighters, and they have that same “never say die” attitude that the Giants had. The Warriors are building this “never give up” identity by winning a game like the Raptors game. The Raptors game clearly didn’t have the same stakes that the Giants’ NLDS game against the Reds had, but it could prove to be a pivotal moment for the Warriors this season. The stakes might not have been as high, but according to Mark Jackson, this game against the Raptors was the biggest game of his coaching tenure so far. He said it was a big statement win because they easily could’ve given up and moved onto the next game. This type of win will do a lot for the Warriors’ team chemistry, and it builds character. O’Neal is showing this Warriors team how to be tough and resilient. He’s showing them that not every game is going to be won easily and how they need to grind out wins sometimes. As O’Neal said, great teams find ways to win games where they’re getting blown out or they’re undermanned. If the Warriors continue to play this style, they will become a legitimate title contender. Both Pence and O’Neal are so valuable to their respective teams for reasons much more than their contributions on the field or on the court. They are the ultimate motivators and preachers. They lead their teams with their dedication, passion, and toughness. Pence inspired his team when they needed him the most, and O’Neal is doing the same thing by being just the motivational leader that the Warriors need. Golden State Warriors: Can They Survive In The Wild, Wild West? In recent history, the NBA’s Western Conference has been superior to the Eastern Conference. The West is usually much more competitive and talented up and down the conference. This year is no different, and, if anything, the West is even more competitive. For example, there are four teams in the Western Conference that are outside of the top eight that are right around .500. In the Eastern Conference, the fourth-best team is the Boston Celtics, who have an 8-12 record. The Golden State Warriors finally seem like a legitimate contender in the Western Conference, but with this intense competition in the West, can they survive? After so many years of mediocrity and pure dysfunction, the Warriors have a versatile roster this season, they play stellar defense, and they have established an identity and a winning culture. All of this suggests that the Warriors will be a successful team in the Western Conference. They currently have an 11-8 record, which doesn’t seem that impressive or good enough to survive in the West. However, their record doesn’t tell the whole story. First of all, the Warriors have had one of the toughest schedules in the NBA so far this season. They have played the most road games in the Western Conference, and they’ve played the fewest games against Eastern Conference teams. After completing a four-game road trip, the Warriors played one game at home Tuesday night before heading out for a three-game road trip. The Warriors are getting tested early with their tough schedule. Therefore, their record doesn’t exactly show how good this Warriors team is. Second, the Warriors are loaded with talent, and their record doesn’t show that either. This is arguably one of the best rosters the Warriors have ever had. They are loaded, and they can boast the fact that they have six proven starters. In the starting lineup, they have a future superstar in Stephen Curry, they have a shooter and an excellent defender in Klay Thompson, they have a versatile, complete player in Andre Iguodala, they have a consistent double-double machine in David Lee, and they have a fiery, passionate defensive anchor in Andrew Bogut. 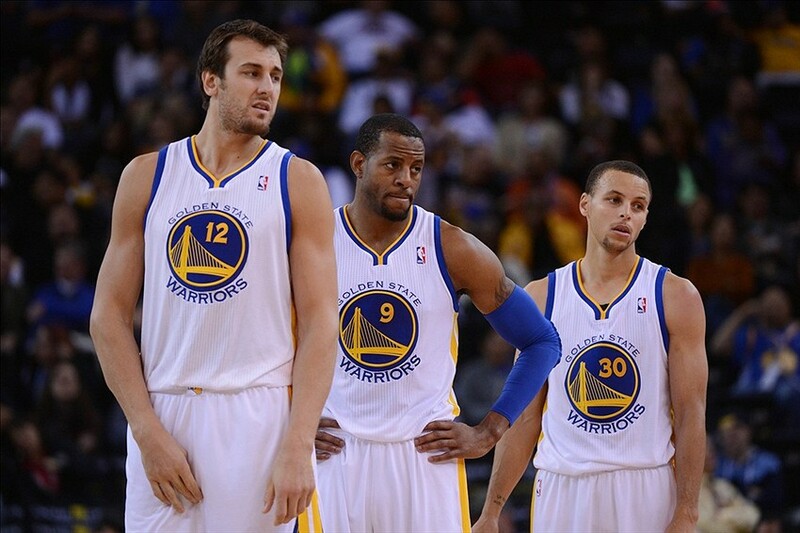 The addition of Iguodala has made them a legitimate title contender. His versatility is extremely valuable to this team, and his presence elevates them to an elite level. He can rebound, he can pass, he can run the offense, he can push the ball in transition, and he has a high basketball IQ. His defense is the most valuable aspect of his game though. Before his injury, the Warriors were fourth in the NBA with a 96.5 defensive rating. Since then, they have a defensive rating of 106.8. 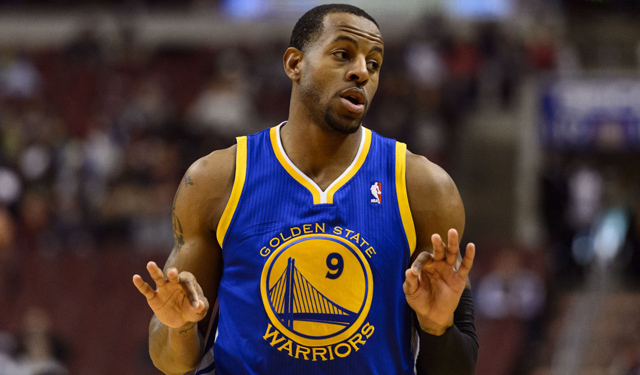 The Warriors need Iguodala healthy to stay competitive in the West. Speaking of health, the Warriors need Andrew Bogut and Stephen Curry to stay healthy in order to survive in the Western Conference. Those two have been labeled as “injury-prone,” but, for the most part, they have been relatively healthy this year. Bogut has only missed one game this season, for a suspension, and Curry missed three games with a bone bruise on his left ankle and a concussion. 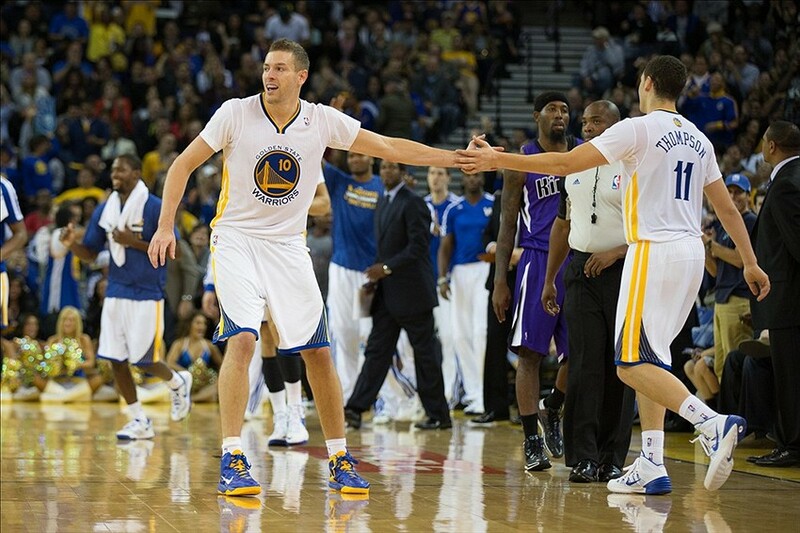 Bogut and Curry need to each play at least 65-70 games for the Warriors to stay competitive. The Warriors also have a fairly deep roster. With Iguodala starting, Harrison Barnes is coming off the bench now. This automatically makes the bench stronger. He’s started to adapt to the role of sixth man, and he’s really starting to excel. He is that perfect spark off the bench for the Warriors. Before he got injured, Toney Douglas had some solid performances also. He brings his tenacious defense to the bench. Also, Draymond Green has improved significantly from last season. He lost about 15-20 pounds in the offseason, which has improved his endurance, agility, and his three-point shooting. He has been extremely valuable off the bench this season. Nemanja Nedovic started off the season slowly, but his confidence has grown a lot and he’s shown how fearless he can be. He’s out-played Kent Bazemore, so he’s been the primary backup point guard in Douglas’ absence. Jermaine O’Neal has also been invaluable to the Warriors. On the court, he’s a stellar defender, and he can post up and pull up from mid-range. Off the court, he’s even more valuable. He provides veteran leadership, and he’s become quite the motivator. O’Neal’s toughness and passion are contagious in the Warriors’ locker room, and his presence makes the Warriors have better team chemistry. The Warriors have a strong roster, and they’ve proven they can compete against the best teams in the West. They have matched up well with the Oklahoma City Thunder and the Los Angeles Clippers this season, and they hung tough in their playoff series against the San Antonio Spurs last season. It might still be tough for the Warriors to get into the top four of the Western Conference, but they are more than capable of surviving and staying competitive in the West. The Golden State Warriors return home tonight to play the Toronto Raptors, after going 2-2 on their four-game road trip. Last season, the Warriors played the Raptors twice and won both games. The Warriors have 10 wins in their last 12 games against the Raptors, and they’ve won eight straight games against them at Oracle Arena. The Warriors hope to win this one at home before heading out on another road trip for their next three games. The Warriors have started off the season with one of the most difficult schedules in the league. They have played the most road games in the Western Conference, and they have also played the fewest games against Eastern Conference teams. With that being said, the Warriors should be able to win tonight against a 6-10 Eastern Conference team. They need to take advantage of this home game and get a win tonight in order to gain some momentum going into the upcoming road trip.